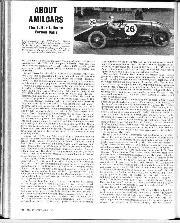 It was a pleasure to read an article on the Amilcar Sixes, it being some 30 years since the last article on them in Motor Sport. There is no doubt that the Six was produced to combat the twin-cam 4-cylinder Salmsons which were more than a match for the sidevalve Amilcars, design work being started during the winter of 1924, as the first car ran as early as April 1925, unsupercharged as the blower was not ready. The original car was designated Type CO, engine dimensions were 55 x 77, 1,097 c.c. Three, or possibly four, of these were built during 1925/6, and ran in many events on the Continent. There were two chassis lengths and these cars had the integral head and block construction with roller-bearing crankshafts. Various supercharger layouts were tried, until finally the supercharger-lobes were placed horizontally and the straight manifold was fed from the the top of the casing, the 40 mm. Solex being underneath. The chassis was given extra stiffening by wrapping the undertray right round the outside of it, and the front spring shackle was soon replaced by a sliding joint. The rear engine mounting was rigid, not flexible, but adjustable by placing washers between the engine and the little column on which it stood, in order to reduce transmission vibration by lining up the drive-line. The front axle was of c-section, not tubular. 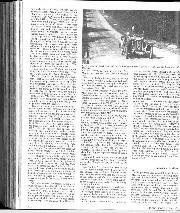 Their only foray into England was for the 1926 JCC 200-Mile Race, as you state. Your photograph of No. 38 is Arthur Duray's car. 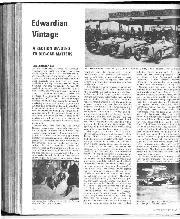 For the 1927 season new cars were built, with offset engine and transmission, engine dimensions being altered to 56 x 74 (1,094 c.c.) designated Type MCO. There were five or six of these offset chassis, plus two very narrow ones known as MCO Record used for the 1928 Arpajon Speed Trials, one using a block opened up to 58 mm. to put it into the 1,500 c.c. class. 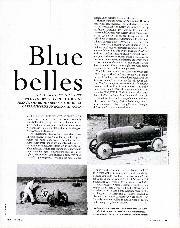 The offset cars ran in the 1927 200-Mile Race sponsored by Vernon Balls, who told me he had to pay the factory £1,000 to get them to send the cars over. The private owners' cars came about by a wish to enter Le Mans, for which a production run of 50 was necessary (the blower Bentley was a production car for the same reason, I believe). This was Type C6 (not 6C nor G6), and the engines had a detachable head and plain bearings, engine dimensions being 56 x 74 (1,094 c.c.). These cars had a differential and there was room inside for a passenger who didn't mind getting oily. The oil tank was between the dumb-irons, which causes owners a minute or two of anxiety while waiting for the oil pressure to arrive; the works very soon put the oil tank for the racers beside the driver. 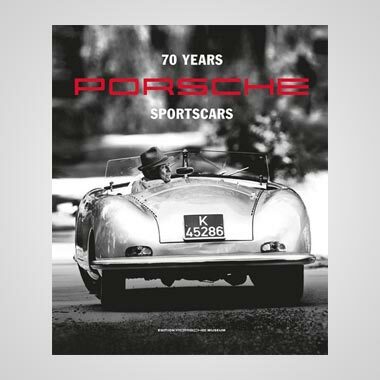 In the event, only one car was entered for Le Mans by the factory in 1926. This ran with a 4-cylinder engine as the Six was not ready. It crashed during the race; the driver Marius Mestivier was killed. Amilcar did not return to Le Mans until the late 1930s. 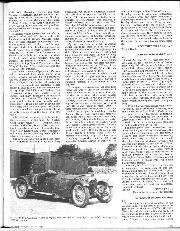 According to Vernon Balls, eight of these cars were imported by him, mostly during 1928. It was a team of these C6s, privatelyentered, which contested the 1928 200-Mile Race. The reason for Balls' spin in this race was that he was suffering from sciatica, and he just "locked up" as he went into the corner, so he had to leave the car to do what it could for him. Luckily, in those days there was sand where now there is Armco, so he was able to carry on. Balls commissioned the factory to put a C6 engine in one of the offset chassis but when it arrived he found he needed the money, so it it was sold. This is believed to be Miss Maconochie's car, later purchased by Elenken Widengren and converted into the teardropshaped car which he used for the hour record at MontIhery. Later campaigned by Courtney and Pat Green, it went to the late Nigel Moores and has not been seen for many a year. YX10 was Balls' other car, used in the 1928 TT. Later, driven by J. C. Byrom, it is thought to be the car raced post-war by Jack Hayward and also purchased by Nigel Moores, now re-registered DCE 191. YW 91, Beris Harcourt-Wood's 1928 200Mile Race car, was subsequently used by Goldie-Gardner. 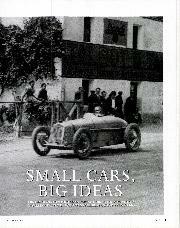 It later became the very fast Clayton-Amilcar, fitted with Amherst-Villiers blower. It was then purchased by Owen Finch, re-registered MPC 702, and most of the best bits found their way onto his other car, the ex-Humphreys car distinguishable by its chromium-plated chassis (original registration unknown, later NPA 217). YU 12 was the car run in the 1930 500-mile race by Brian Twist and Bob Porter. During the war it lived in the loft at Zere's ZN Motors, together with another one reputedly ex-Widengren. The two were purchased by John Tozer after the war. Tozer also had YW 91 and the best engine went into YU 12, while the Clayton car was sold. It is now nearing the end of a monumental rebuild and appeared at last year's Brooklands Reunion. As did NPA 217 and also YU 12, now registered OXW 1 by Tozer and campaigned by him around 1960. The other ex-Zere car, registered OXW 2, was run by Tozer's colleague Rex Clutton until it blew up, since when Tula Engineering have rebuilt it over a long period. I am unable to trace Scott's car. 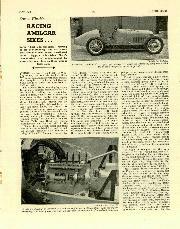 Balls' 1928 200-Mile Race car was YU 13 and it could be either the Humphreys car, or OXW 2. Or neither! One Amilcar Six became the basis of the Spikins Special, which evolved into the Laystall Special, now no longer Amilcar in any way. Another chassis was used for the engine of the Ridley Special after the original car had crashed at Brooklands; it is also being rebuilt. It never had a proper body after the Ridley engine was installed. About another dozen C6s are known to exist around the World. Several of the MCOs have survived. 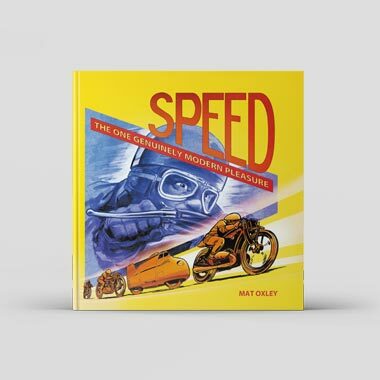 One CO, after a very hard life including a spell on a Wall of Death, is now in this country, unfortunately lacking its 6-cylinder engine, removed before the war and replaced by a 4-cylinder for long-distance racing. 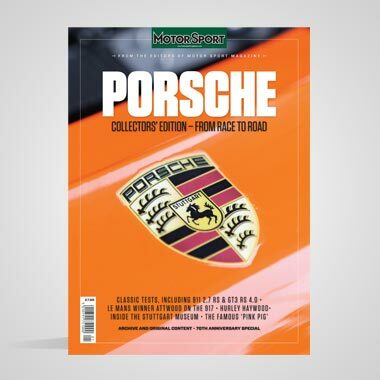 It is almost certainly Martin's 1926 200-Mile Race-winning car and if anybody can supply a photograph of the 1926 team, like the 1927 photo heading your article, to help identification it would be appreciated (and willingly paid for).